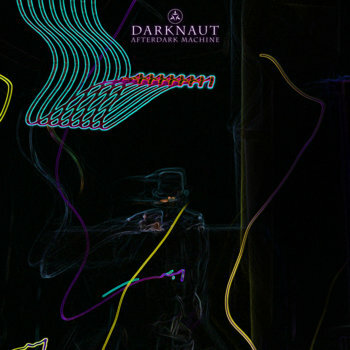 Check out Darknaut's page on Synthwaver.com! DARKNAUT's tracks "Soulsearch Commando" and "Bystander to Infinity" have been featured on Hacker's Coffee Playlist on Spotify. Check out this amazing playlist, which includes an impressive variety of electronic music! Thank you for the feature on SA Monthly Magazine! Many thanks for the feature on Synths of Eden! Check out their website, it has a pretty diverse selection of tunes! Many thanks to Come Here Floyd (CHF) for the amazing review! DARKNAUT has been featured on BEST EDM, one of the most popular EDM playlists on Spotify. Check it out! Loron Hays has authored a fantastic and hyper-creative review of DARKNAUT's EP "Afterdark Machine" on Original Synths / Reel Reviews. Don't miss it! DARKNAUT's track "Soulsearch Commando" has been featured on Synthentral, a podcast that supports Synth-based genres like "Futurepop, Synthpop, EBM, Industrial, Synthwave, Industrial Dance, Coldwave, Electro, Chillwave, Indietronica, Krautrock, Electropunk, Synthpunk, Minimal, and Aggrotech" (www.mixcloud.com/blairscott/synthentral-20180629). Many thanks to Blair! DARKNAUT's "Afterdark Machine" EP is a Featured Album on the reference Synthwave website Neon Order. Check it out! DARKNAUT's track "Halfway to the Crossroads" (from the "Afterdark Machine" EP) has been featured in an episode of The Beam at Retro Promenade. Great show and great music! Thank you, Mike!